RIO DE JANEIRO, Brazil, July 14, 2007 – In a packed arena that buzzed with energy and cheers, the U.S. women won the team title at the 2007 Pan American Games in Rio de Janeiro, Brazil, making this their second straight Pan Am team title and 11th overall. The USA grabbed the lead after the first event and never relinquished it en route to scoring a 243.225 total to finish ahead of Games host Brazil, which tallied 236.725. Mexico was third at 223.625. "Our girls delivered a solid performance today," said Steve Penny, president of USA Gymnastics. "It was a great competition in an incredible atmosphere." The six women on the team are: Rebecca Bross, Plano, Texas; Ivana Hong, Blue Springs, Mo. ; Shawn Johnson, West Des Moines, Iowa; Nastia Liukin, Parker, Texas; Samantha Peszek, Indianapolis, Ind. ; and Amber Trani, Richlandtown, Pa. Valeri Liukin of Parker, Texas, is head coach, with Donna Strauss of Allentown, Pa., assistant coach. 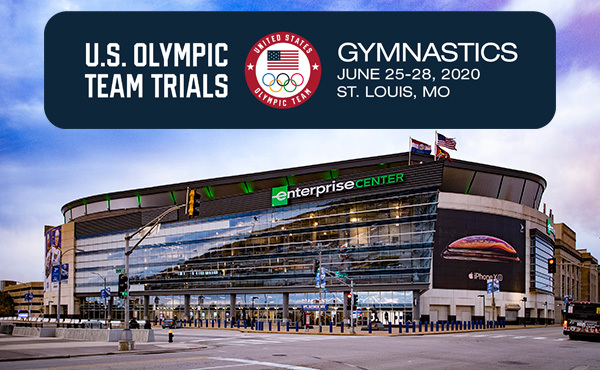 "I am very pleased with our young team’s performance, and the toughness demonstrated through this challenging competition," said Martha Karolyi, the women’s national team coordinator. "To win a gold medal is always amazing," said Liukin in the press conference, "and we are all excited to be in Brazil. The audience was very loud, and even though it wasn’t always for us, it was a great atmosphere." Going into the final rotation for the team competition, Brazilian fans hoped the home team could catch the U.S. women, who held a 179.825 to 177.225 lead. However, the U.S. contingent’s impressive performances on the beam turned it into a 6.5-point lead by the end of the rotation. With well-know gymnasts Daniele Hypolito and Daiane Dos Santos on the Brazilian squad, the crowd was very vocal in support of the home team. "We could hear it a few times," said Liukin, who is competing in her second Pan Am Games. "That is to be expected because the Brazilians are strong competitors and they want their team to win. We block it out and focus on our event and the routine we need to do. That is what we are taught from when we are little." The U.S. women put on a dazzling performance. Johnson had the top score in the balance beam and the second highest on two events, the uneven bars and the floor exercise (tie). Liukin had the top uneven bars score. 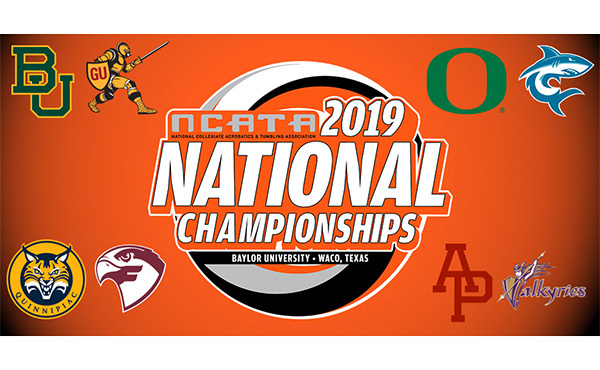 The team finals serve as the qualification round for advancement to the all-around and individual event finals. Johnson had the highest all-around score for the night at 61.850, followed by Brazil’s Jade Barbosa at 60.650. A total of 24 and a maximum of three athletes from any country may advance to the finals based on the all-around rank order. Bross was third and Hong was fifth in the all-around qualification and therefore advance to the finals. Peszek also finished in the top eight but did not advance due to the maximum three-athlete rule. The U.S. women advanced in each of the events. 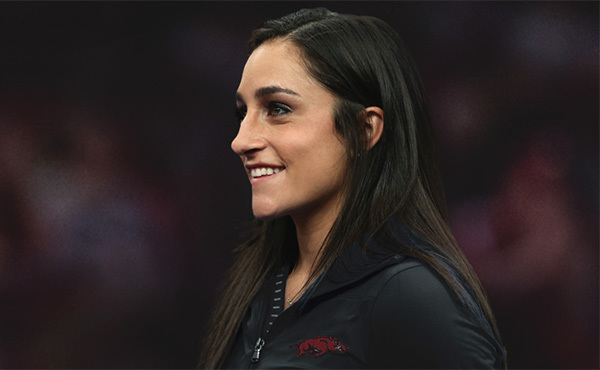 Trani was the lone U.S. gymnast to do the two vaults to qualify for the vault finals and qualified for the finals. The other qualifiers are: uneven bars and balance beam -- Johnson and Liukin; and floor exercise -- Johnson and Bross. The women who scored in the top eight but could not advance due to the maximum two-athlete-per-country rule for individual finals were: Bross in the uneven bars and balance beam; Hong in the uneven bars, balance beam and floor exercise; Peszek on the balance beam; and Trani in the floor exercise. When asked if she is a phenom, Johnson replied, "I still feel pretty normal. I have been doing gymnastics since I was little and with the help of my coaches, parents and teammates, we have some amazing results, and I can’t wait to do more." Johnson will face two of Brazil’s popular gymnasts, Jade Barbosa and dos Santos, in the floor exercise finals. "Floor exercise is one of my favorite events, and dos Santos is amazing and they are both strong competitors," said Johnson. "I can’t wait for the challenge." The USA started on the floor exercise, and Johnson’s 15.150 tied for the second highest score with dos Santos. The U.S. had strong performances and the three other scores that counted for the team were Bross at 15.100, Trani at 14.725 and Peszek at 14.125. On vault, Johnson and Trani, both performing a double Yurchenko, posted the team’s top scores at 15.125 and 15.000, respectively. Bross and Peszek earned a 14.950 and 14.900, respectively, to round out the four team scores. Liukin, the 2005 uneven bars world champion, led the team on the uneven bars. She debuted a new routine that includes a new dismount and scored a 15.825. 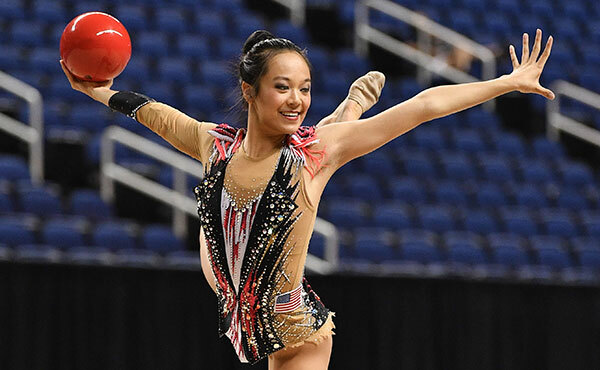 Johnson earned a 15.325, and Hong and Bross rounded out the top four U.S. scores. For the final rotation on beam, Johnson and Liukin almost flawlessly executed some of the most difficult routines of the competition, again turning in the top scores. Bross and Hong had the USA’s next best scores. 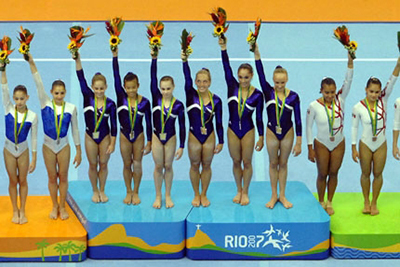 Liukin competed in uneven bars and balance beam, and Trani competed in the floor exercise and vault. 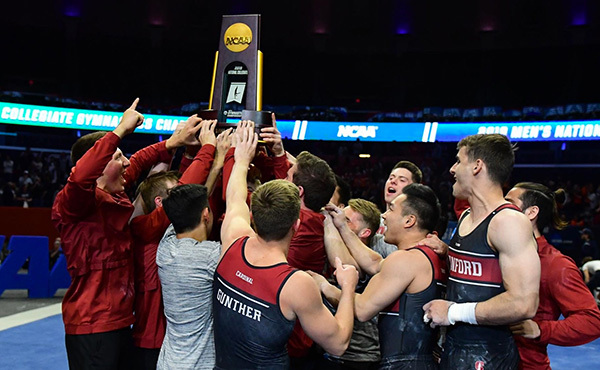 The team competition featured a five-up, four-count system, which means that five gymnasts compete toward the team score, with the four best counting. The competition was divided into two subdivisions, and the USA competed in the second subdivision. 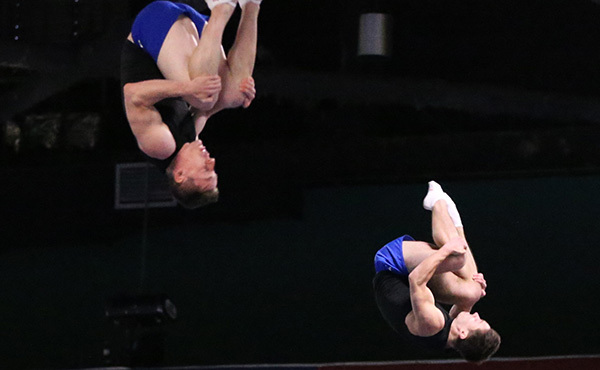 The men’s all-around competition is on July 15, with the women’s set for July 16. The individual event finals for both men and women are July 17.